The 2019 Asian Committee for Future Accelerators (ACFA)/IPAC19 will announce the Accelerator Prize winners in 2019.
a) The Xie Jialin Prize for outstanding work in the accelerator field, with no age limit. The winner will receive a plaque, and give an oral presentation during the Award Session. b) The Nishikawa Tetsuji Prize for a recent, significant, original contribution to the accelerator field, with no age limit. The winner will receive a plaque, and give an oral presentation during the Award Session. c) The Hogil Kim Prize for a recent, significant, original contribution to the accelerator field, awarded to an individual in the early part of his or her career. The winner will receive a framed certificate, a cash prize of US $2,000, and give an oral presentation during the Award Session. d) The Mark Oliphant Prize for a student registered for a Ph.D. or diploma in accelerator physics or engineering, or to a trainee accelerator physicist or engineer in the educational phase of his or her professional career, for the quality of work and promise for the future. Applicants will be judged on the quality of the work submitted to the conference. The winner will receive a certificate, a cash prize of US $1,000, and will have the opportunity to give an oral presentation during the Award Session. e) The Best Student Poster Prize will be awarded to two students whose work presented in the special student poster session is particularly meritorious. Each winner will receive a cash prize of US $500. All students presenting at the special student poster session are eligible for this prize. The ACFA/IPAC19 Award Session is held on Thursday May 23. Prof. Xie Jialin (謝家麟) was born in 1920 in Harbin, China. He graduated from the Physics Department of Yenching University in 1943, and obtained a Ph.D. from Stanford University in 1951. In 1955, as chief leading scientist, with his colleagues at the University of Chicago Medical Center, he constructed the first cancer treating electron machine in the world. In 1955, he returned from the United States to China. After returning, he organized a group to construct the first 30-MeV Microwave electron linac, started from key components’ study, such as klystron and 3m long S-band accelerating structure. At the end of the 1970s, he acted as the leading scientist for R&D for the High Energy Accelerator Project (“87 Project”), a 50-GeV synchrotron in Beijing. 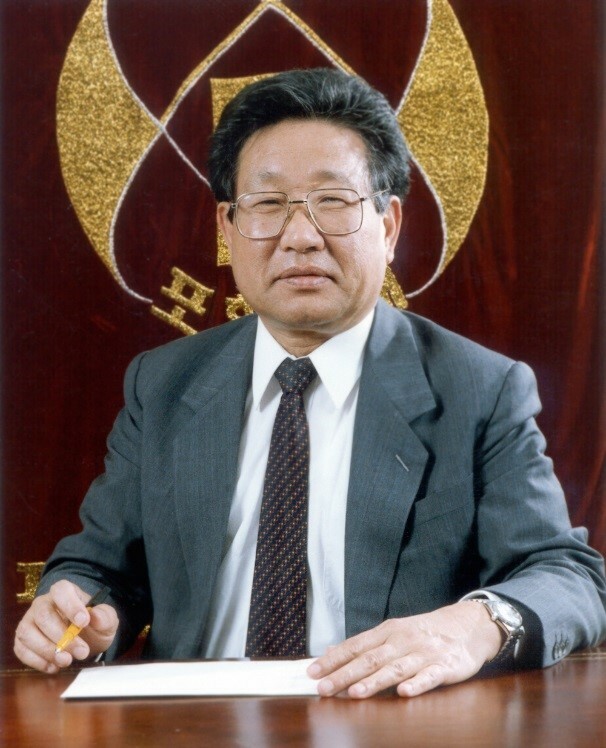 At the beginning of the 1980s, he was nominated as the first director of Beijing Electron Positron Collider (BEPC) at the Institute of High Energy Physics (IHEP), which was successfully completed in 1988. During the BEPC project, he made many important decisions with Chinese colleagues, such as Collider and Synchrotron radiation machines combined to BEPC storage ring. In the middle of the 1980’s he led a group working on a linac-based free electron laser (BFEL), and which was funded as part of the State High-Tech Development Plan (“863 Program”). In 1993, BFEL was successfully lasing with saturation, which was the first linac-based free electron laser in Asia. In 2000, he proposed a concept of compact linac with klystrons working as both electron source and rf source. After four years of hard work, the principle was proven, and the accelerator obtained a patent in China. In Professor Xie Jialin’s scientific career, he paid great attention to his Ph.D. students and to training the next generation, and also to international collaborations, which had a great impact afterwards. As for scientific vision, as always, he paid great attention to new frontier of high-energy physics accelerators and technologies, such ILC, superconducting rf accelerator technologies and laser plasma acceleration. 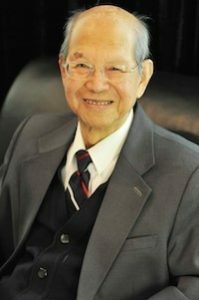 Professor Xie passed away in February this year. He was aware of, and proud that, the 2016 Xie Jialin prize would be awarded for the first time in Busan. 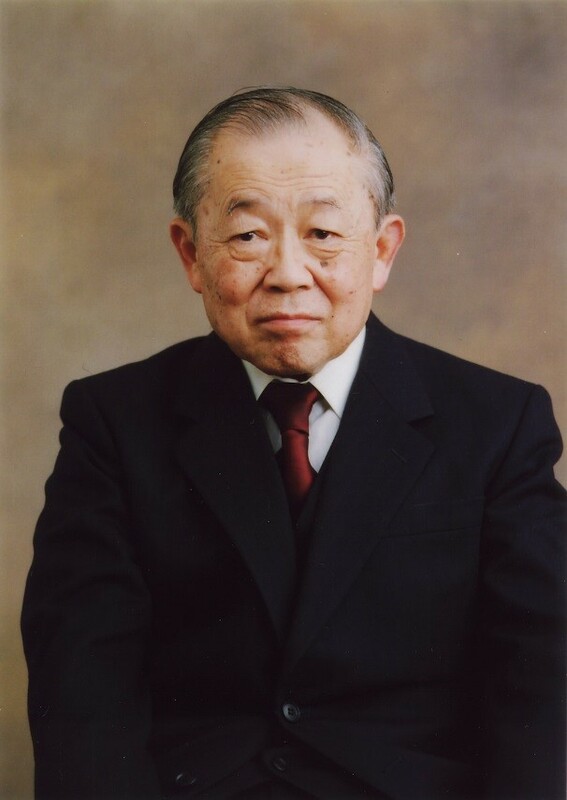 Nishikawa Tetsuji, former director-general of KEK, showed an extraordinary talent as a physics student and became a professor of physics of the same university in 1961 at the age of 34. He was a man of extraordinarily wide interests. His initial research was in the field of atomic and molecular physics using microwave technology but he gradually shifted towards accelerator science and high-energy physics. 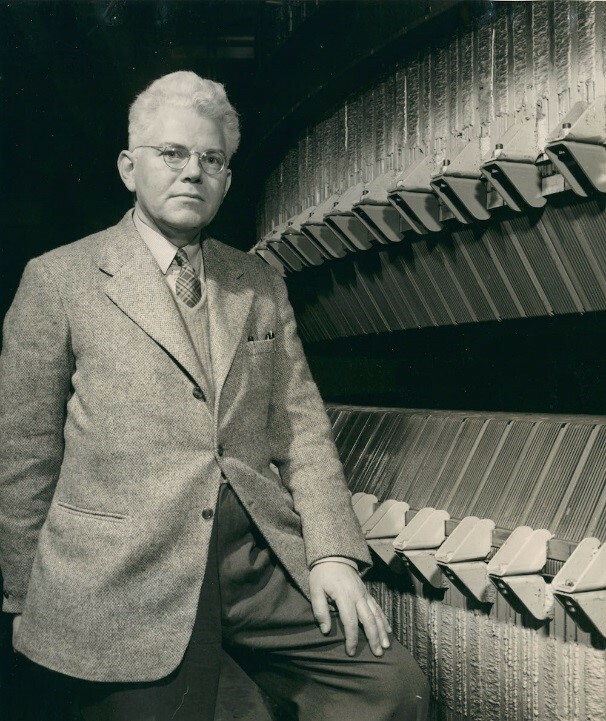 One of his contributions to accelerator physics is the invention of the alternating periodic structure (APS) for linear accelerators, work done while he was at Brookhaven National Laboratory (1964-1966). He became a world expert on beam dynamics of linear accelerators. He was a man of extraordinary patience. After a decade of negotiations with the government and of tireless discussions within the scientific community during the 1960s, high-energy physicists, led by Shigeki Suwa and Nishikawa, finally succeeded in starting KEK (the National Laboratory for High Energy Physics, now called the High Energy Accelerator Research Organization) in 1969 and in constructing the 12-GeV proton synchrotron. One of the most important contributions that this accelerator has made to high-energy physics is the first long-baseline neutrino experiment in which a neutrino beam was sent to the Kamiokande facility 200km from KEK. This finally confirmed the oscillation of muon-neutrinos to electron-or tau-neutrinos. Moreover, KEK became a model in Japan for the development of national inter-university research institutes. Later, many research laboratories in different disciplines were created with the same organizational and management structure as KEK. He was a man of extraordinary insight into the future. Nishikawa supported the development of a neutron beam from the KEK proton synchrotron, as initially suggested by a group at Tohoku University led by Motoharu Kimura. The KEK parasitic neutron facility was completed in 1980 and eventually upgraded substantially in the current Japan Proton Accelerator Research Complex (J-PARC). Nishikawa also realized the importance of hadron beams in cancer treatment and, together with the medical school of Tsukuba University, he constructed a cancer-treatment facility at the booster synchrotron (500 MeV). The success of this facility continued with the construction of the National example is his insight into synchrotron radiation facilities. The world’s first dedicated synchrotron radiation facility was built at the Institute for Nuclear Study in the University of Tokyo, based largely on the foresight of Taizo Sasaki. Nishikawa decided to build the KEK Photon Factory, together with Kazutake Kora, with strong support from the synchrotron radiation user-community. The facility was completed in 1982. He was a man of extraordinary wisdom in laboratory management and project design. After the completion of the KEK Photon Factory he decided to build TRISTAN, the world’s highest energy e+e–collider. The KEK photon factory injector linac was used as an injector for TRISTAN, which was completed in 1986. The collider was later transformed into a B-Factory, namely, KEKB. He was an extraordinary human being. Together with Shigeki Suwa, he was one of the founding fathers of KEK and the Japanese high-energy physics community. What he accomplished in Japan is comparable to what Panofsky did in the US. Indeed, Nishikawa and Panofsky were good friends and together, more than 30 years ago, they initiated the US-Japan Collaboration scheme. They also worked hard to launch the Superconducting Super Collider; unfortunately, the project was cancelled during its construction. Nishikawa Tetsuji passed away on 15 December 2010. Professor Hogil Kim, first President of POSTECH, was a physicist and an educator. Thanks to his tireless work he brought the first large-scale particle accelerator project to Korea, which now has a flourishing accelerator community. Born in Andong, Korea in 1933, Professor Kim studied at the Physics Department of Seoul National University, which had been evacuated to Busan during the Korean War. After his studies he became an officer in the Korean Air Force, teaching physics at the Korea Air Force Academy. He joined the research staff at the Korea Atomic Energy Research Institute in 1959, where he was a member of a team constructing a Cockcroft-Walton accelerator for fusion neutron research. He was selected as an IAEA fellow for advanced study at Birmingham University in UK in 1962. He earned his Ph.D. degree on cyclotron research in 1964. Professor Kim worked at Lawrence Berkeley National Laboratory (LBNL) from 1964 to 1966, where he invented Kim’s coil for beam extraction in cyclotrons. He then joined the faculty of the Physics Department at the University of Maryland in 1966, and became part of the team building the UM Cyclotron. He initiated the Electron Ring Accelerator (ERA) project, supported by the National Science Foundation. After demonstrating successful stopping electrons rings and loading ions for collective acceleration, he moved back to LBNL in 1978. Pohang University of Science and Technology (POSTECH) was established in 1986 with Professor Kim as its founding president. The Pohang Light Source (PLS) Project started in 1988, Korea’s first large-scale scientific facility with support from a private company. Sadly, Professor Kim did not live to see the commissioning of PLS in 1994. He witnessed the beam acceleration in the injector linac a few weeks before he died tragically in an accident at a sporting event at POSTECH on April 30, 1994. Hogil Kim was a pioneering leader and educator, promoting the development of accelerator science and science and technology education in Korea. Born Marcus Laurence Elwin Oliphant in Adelaide in 1901, the eldest son of a public servant, he rose to prominence as an inventive and brilliant physicist and carried his impressive achievements over into public life. As a physicist his crowning achievements include the invention of the synchrotron particle accelerator, the discovery of tritium and helium-3 and overseeing the development of radar. In public life and as a scientific leader he held several significant positions. These included the founding Director of the Research School of Physical Sciences at the newly constituted Australian National University (1950) and Governor of South Australia (1972) – a role in which he was very popular with the public. However, the achievement Oliphant was most proud of was the role he played in founding the Australian Academy of Science of which he was its first President in 1954. Like so many Australian scientists, Oliphant travelled overseas to make his mark in the world. He returned later in life bringing back his “fire in the belly” to inspire people to greater heights in his home country. After completing his education at Adelaide University, he joined the famed Cavendish Laboratories at Cambridge in 1927, which was then led by Ernest Rutherford – a fellow Antipodean who was to become a father figure to Oliphant. Together they were pioneers in the new field of Nuclear Physics. Their careful experiments on the “basement accelerator” that Oliphant designed and built established him as an accelerator physicist and enabled them to split the atom to discover the two new isotopes tritium and helium-3. In 1937 he took up his own Professorship at Birmingham University where he led the team that invented the magnetron, a compact power source that made it possible to carry radar in aircraft. In 1941 he went to the US to persuade their government to hasten a fission bomb program resulting in the Manhattan Project which he later joined. The use of the atomic bomb on civilians horrified him into becoming a lifelong “belligerent pacifist”. While in the US, Oliphant was deputy to Ernest Lawrence at the University of California Radiation Laboratory. On assignment at the experimental electromagnetic separation plant at Oak Ridge, Tennessee, he did many night shifts during which time he penned a memo titled “The Acceleration of Particles to Very High Energies.” In this little known letter to the Directorate of Atomic Energy, UK, he outlined his “new method” – the principle of the synchrotron accelerator. Using the newly invented principle Oliphant later designed and built a 1 GeV proton synchrotron in Birmingham. At the heart of the Australian Synchrotron is a 3 GeV electron synchrotron accelerator which has been in operation since 2007. Sir Mark Oliphant died in Canberra in 2000 aged 98.
a) The Xie Jialin Prize for outstanding work in the accelerator field, with no age limit. The winner will receive a plaque, and make an oral presentation during the IPAC’19 Accelerator Prizes Special Session on Thursday, 23 May 2019.
b) The Nishikawa Tetsuji Prize for a recent, significant, original contribution to the accelerator field, with no age limit. The winner will receive a plaque, and make an oral presentation during the IPAC’19 Accelerator Award Ceremony Session on Thursday, 23 May 2019.
c) The Hogil Kim Prize for a recent, significant, original contribution to the accelerator field, awarded to an individual in the early part of his or her career. The winner will receive a framed certificate and a cash prize of US $2,000, and will also make an oral presentation during the IPAC’19 Accelerator Award Ceremony Session on Thursday, 23 May 2019.
d) The Mark Oliphant Prize for a student registered for a Ph.D. or diploma in accelerator physics or engineering, or to a trainee accelerator physicist or engineer in the educational phase of his or her professional career, for the quality of work and promise for the future. Applicants will be judged on the quality of the work submitted to the conference and presented during the Student Poster Session on Sunday, 19 May 2019. The winner will receive a certificate and a cash prize of US $1,000, and will have the opportunity to make a short oral presentation during the IPAC’19 Accelerator Award Ceremony Session on Thursday, 23 May 2019.
e) Prizes for the best student posters will be awarded to 2 students whose work, presented in the Special Student Poster Session on Sunday, 19 May 2019, is particularly meritorious. Each winner will receive a cash prize of US $500, presented during the IPAC’19 Accelerator Award Ceremony Session on Thursday, 23 May 2019. Nominations for the Xie Jialin Prize (a), the Nishikawa Tetsuji Prize (b) and the Hogil Kim Prize (c) will consist of a cover letter with a brief description of the candidates (date of birth, professional activities) and a justification for the award of the prize. The full formal proposal must include a curriculum vitae, a list of relevant publications with copies of up to three of the most significant and letters of reference from one or more proposers justifying the nomination. Nominations for the Xie Jialin Prize (a), the Nishikawa Tetsuji Prize (b), the Hogil Kim Prize (c) and Mark Oliphant Prize (d) have now closed. All students presenting work in the special Student Poster Session on Sunday, 19 May 2019, are eligible for prize (e).